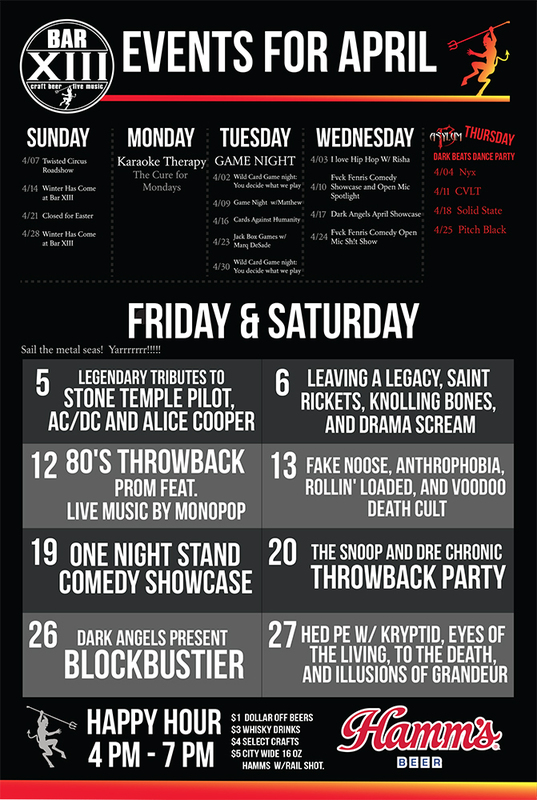 Fake Noose, Anthrophobia, Rollin’ Loaded, and VooDoo Death Cult! Spring is here, and we all know what that means – it’s prom season! Remember all those awesome proms in the 80’s with live bands, disco lights, and big hair? Well Bar XIII is bringing it back! 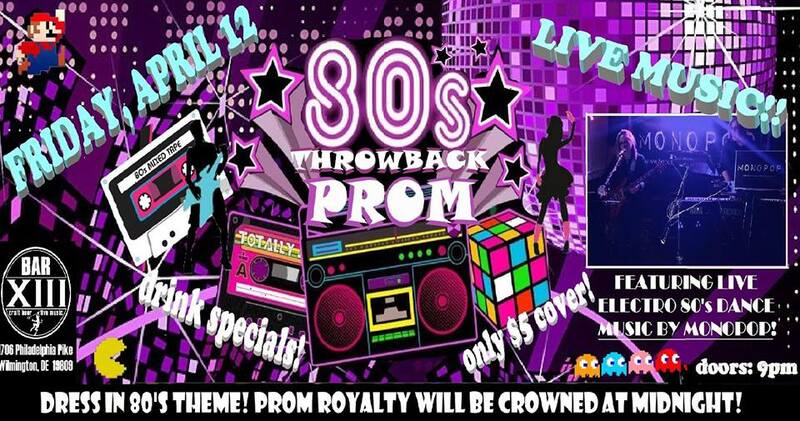 On Friday, April 12th, grab your Aquanet and tease your hair for the 80’s Throwback Prom featuring the live 80’s band Monopop playing all your 80’s electronic dance favorites! Monopop specializes in songs from Depeche Mode, David Bowie, Tear for Fear, The Cure, Billy Idol, and more! 80’s drink specials will be on tap at the bar, and as with all of our Bar XIII 80’s parties, we encourage you to dress up and get your 80’s on! Have as much fun with it as you want, whether you go with an electric green prom dress, or a 80’s tee shirt, it’s all about the fun! Doors open at 9pm, $5.00 cover at the door. There will be a ceremonial crowning of the Prom Royalty at Midnight, so get there early if you want to be in the running!